Nashville, home to: Tennessee State, Meharry Medical College, Fisk University, Amercian Baptist College, Vanderbilt and Belmont University. 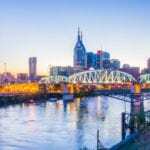 NASHVILLE, TN — One thing often overlooked when people discuss the Civil Rights Movement is that economic opportunity and empowerment were goals right alongside political and social equality. In Nashville, as has been the case nationwide, Blacks, Latinos and people of color remain far behind whites. Despite the campaign rhetoric of each Nashville mayor it is very apparent economic inequality remains a huge problem. The depth of the economic gap between whites and Blacks, as well as other people of color and the poor in general, isn’t narrowing. It is the 2nd month of 2018, and Nashville offers so many positive attributes for whites it’s no surprise it has been universally called the “It” City. 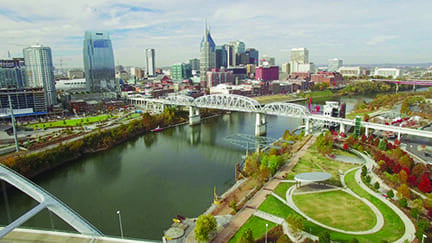 Some call Nashville the “..it city for all minorities. There’s a high quality of life, a culture that encourages artistry and creativity, and impressive leadership in the areas of healthcare, technology, education and music for the white community. But a Tennessee Tribune Special Report Card that closely dissects and examines the city’s performance in the areas of diversity and inclusion show Blacks and others are NOT enjoying the fruits of this city’s “boom” period. We have closely examined the factual record when it comes to the representation of African Americans, Latinos and people of color in Nashville’s workforce. We’ve found supplier diversity and employment diversity rank among this city’s LEAST inclusive areas. This disparity definitely has the potential to erode the tourist industry and negate all the positive publicity Nashville has received. Addressing racial economic inequality should be a priority, especially when considering the recent statements from the Mayor’s office last year. But those flowery words notwithstanding, the factual reality is that the Mayor’s office, which has the greatest potential to influence job creation and wealth building within all communities of color, is doing a dismal poor job, even as her office frequently acknowledges the impact of Black and minority voters in her successful Mayoral campaign. For years under each Mayor the city spends dollars with diversity studies that accomplish no results. The Tribune will utilize our resources putting the spotlight squarely on diversity and inclusion in Nashville as it directly affects Black, Latino and other communities of color. We certainly spotlighted instances of success, but didn’t shy away from citing failures and even worse, the lack of attempts to expand economic opportunity to those other than the upper crust. Starting things off, Blacks and other racial minorities are horribly represented in current city employment statistics. Our figures show an ugly 1 (ONE) percent of positions held by members of either African American or other communities of color. The Tribune Report shows too many failing grades in key areas that affect the Nashville’s communities of color. Clearly if the gaps in inclusion and diversity, as well as in community engagement and construction, aren’t corrected their impact can and will negate a lot of good things like youth summits and racial dialogues. (1) African American Music Museum – The City opted to put this below street level, taking back the space worth about $3 million/yr that could have funded this Museum into perpetuity and ensured it would represent Nashville well in comparisons with other ventures above ground like the National Black Museum in Washington, D.C. and Civil Rights Museum in Jackson Mississippi. (2) Procurement stonewalling: The Tribune is still trying to obtain statistics from the Finance Department. We’re told its under review. We urge the Mayor once again to sweep the non effective Office of Minority and Women Business Assistance (BAO) clean. Thus far, she refuses to do this, leaving the only other viable option being the city council legislating changes in the ordinance. (3) The embarrassing debacle at Fort Negley, which has brought the city unwelcome national attention, originated in the Mayor’s Office. Then it was prolonged through obfuscation and manipulation by not only the Contract Office, but part of Finance. Only one minority proposal regarding Fort Negley was ever judged, and the manner in which it was approached and handled was insulting and discriminatory to people of color. (4) Now that the Mayor has signed a pro bono contract with the Bloomberg Foundation to look into its finances and consult to fix any problems with city administration, the time should be right for the city auditor to have the Finance Departments on his list of the top three Metro Departments to audit in 2018. Unfortunately, this contract has a nondisclosure clause. That means the public won’t know anything until at minimum the year has ended, and then if Bloomberg opts not to share its report, we will never know. Mark Swann, a fair and honest auditor, won’t perform an audit of the Finance Department (which the Tribune and public would have access to) because Bloomberg is supposedly conducting it and claiming the work product privilege. That keeps everyone else from truly discovering what is really happening in the Finance Department, quite possibly on a permanent basis. (5) There are several other obvious poor city budget judgement calls. While the city and Mayor have decided to spend $225 million on a stadium whose team is owned by billionaires and another $9 billion on transit, schools, hospitals, low income and affordable housing all get far less than they should have. Bottom line is our Preliminary Report Card exposes a host of questionable decisions and unfair, unequal budgetary decisions, alongside a decided lack of emphasis on diversity and inclusion for African Americans and communities of color in far too many critical areas. How and if the Mayor and her administration addresses these issues will say a lot going forward about whether her actions will ever match her rhetoric.